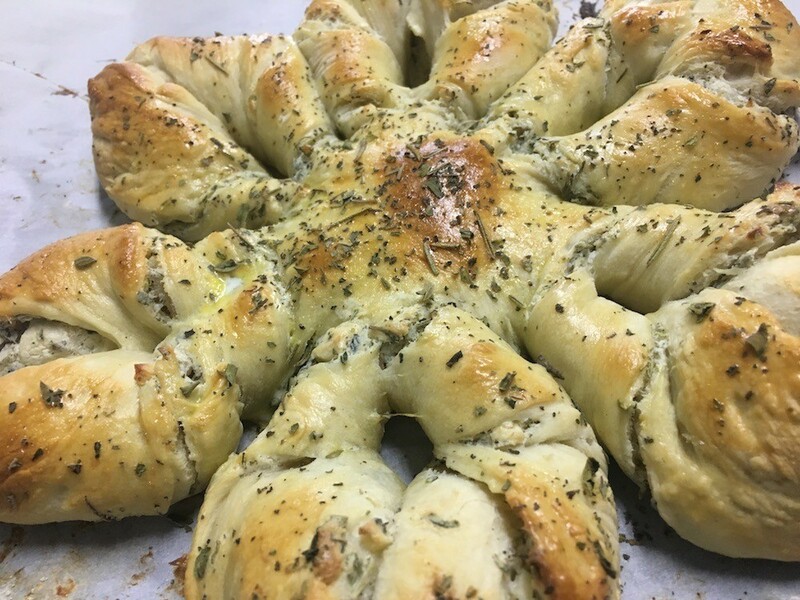 This garlic, herb, and cream cheese filled pull apart bread is perfect to serve at a holiday meal. 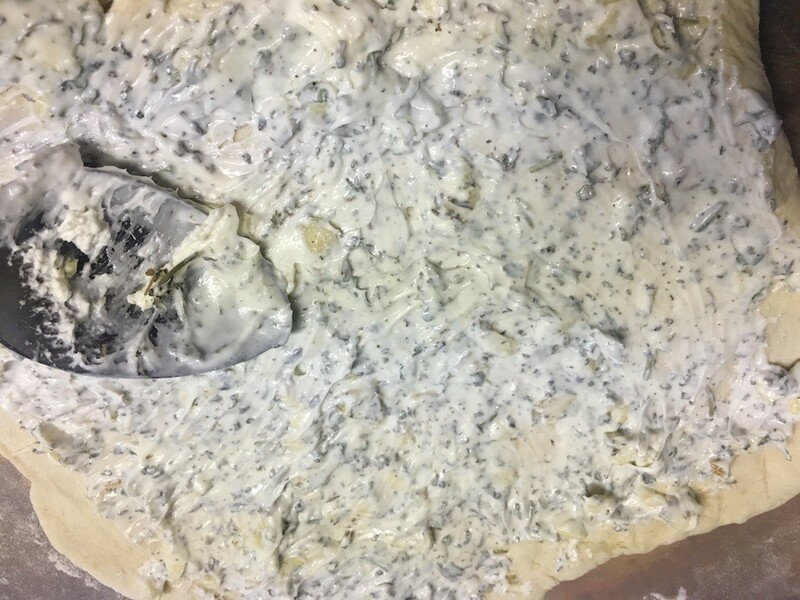 Add a side of marinara dipping sauce and it will disappear quickly. 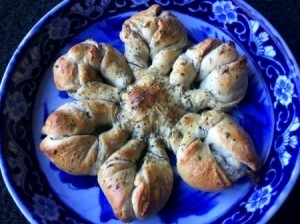 This page contains the instructions and recipe for making this tasty appetizer or main dish side. 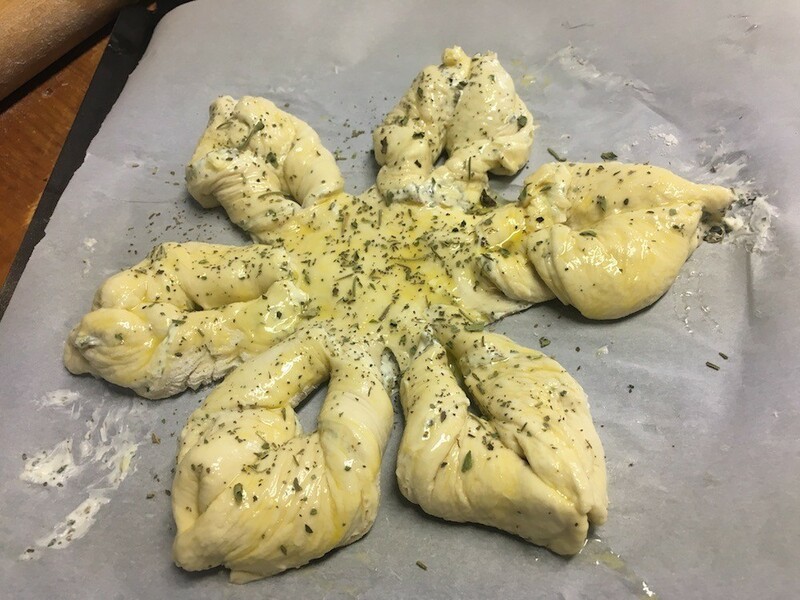 This is a cute snowflake shaped pull-apart bread for the holidays. It's filled with garlic and herbs. Serve by itself or with marinara sauce. 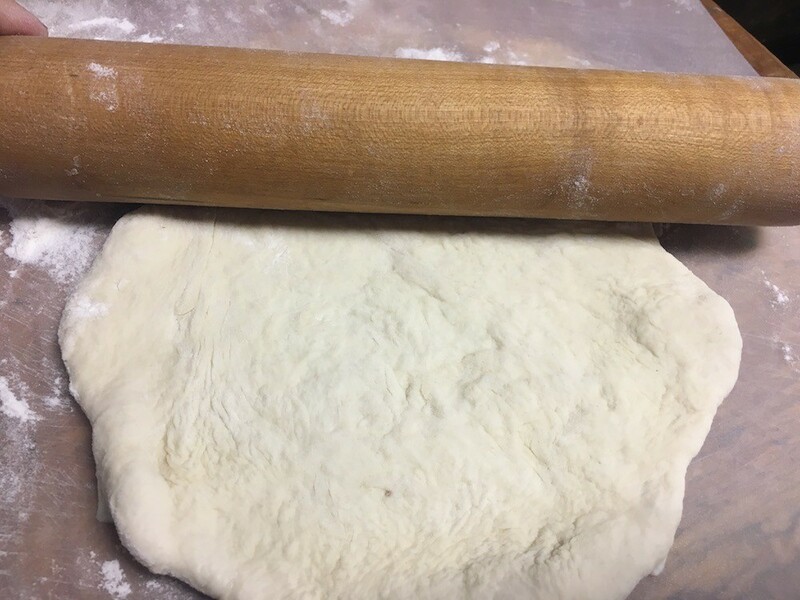 Preheat oven to 350 F. If you are using frozen dough, thaw, cover in greased plastic wrap, and allow to double in size. 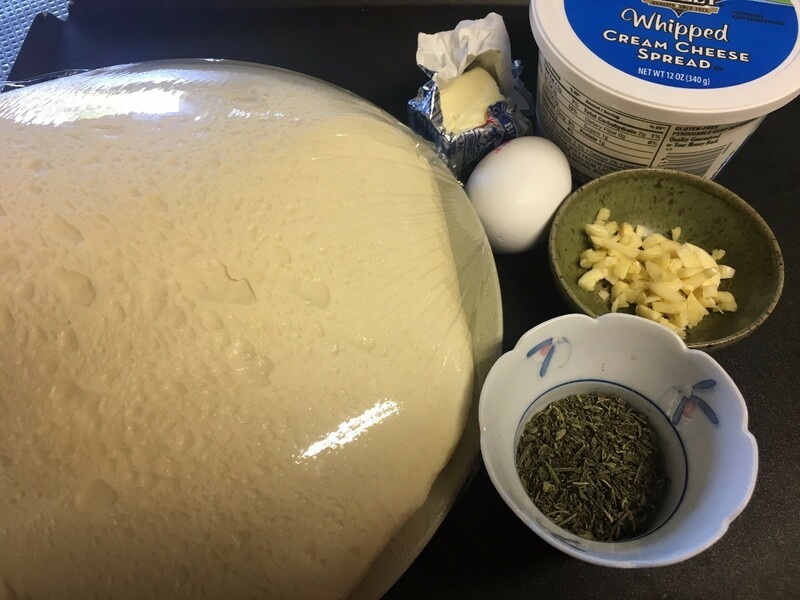 Divide dough into two and roll out into two large identical-sized thin discs. 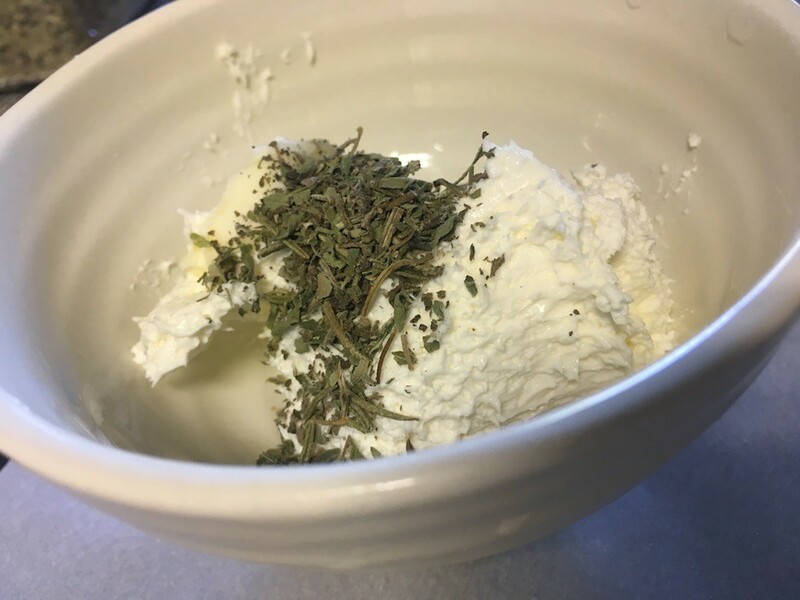 In a small bowl, mix together the butter, cream cheese, garlic, seasonings, and salt. Reserve a pinch of the seasonings for later. 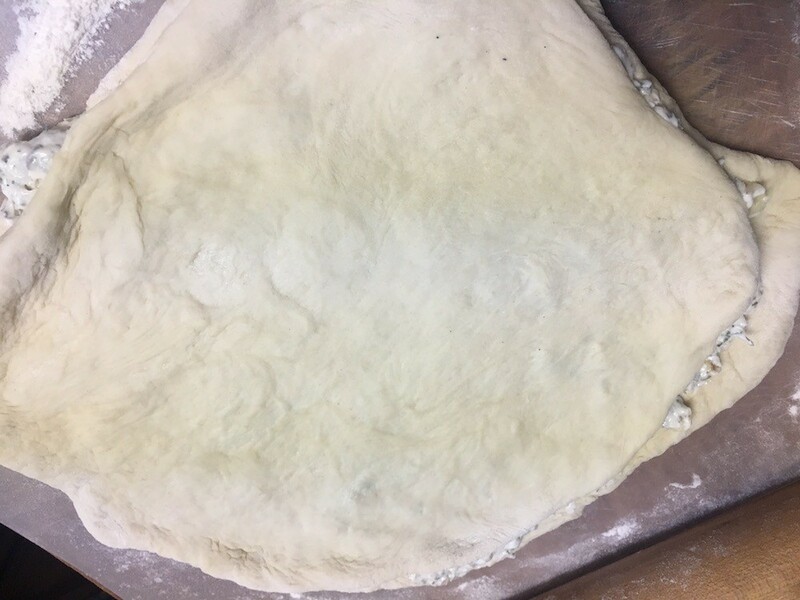 Place first piece of dough onto a baking sheet lined with parchment paper. 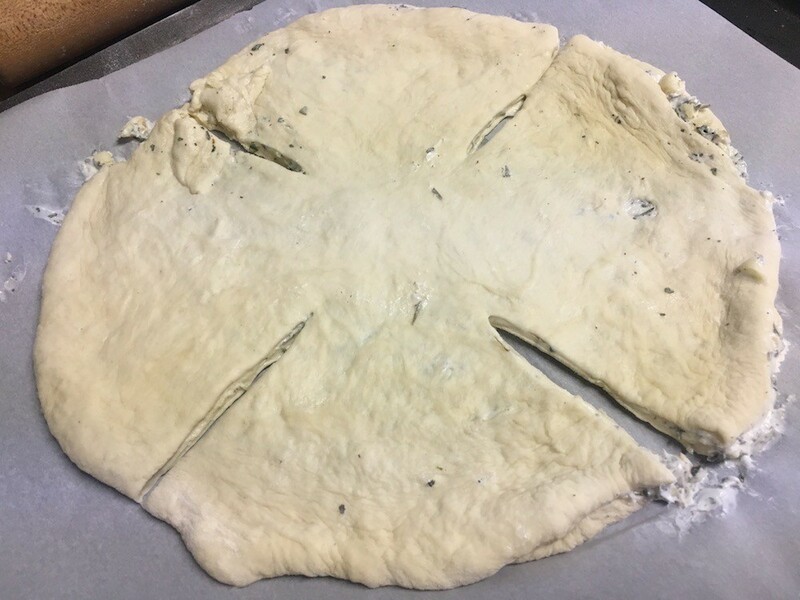 Spread mixture all over dough. 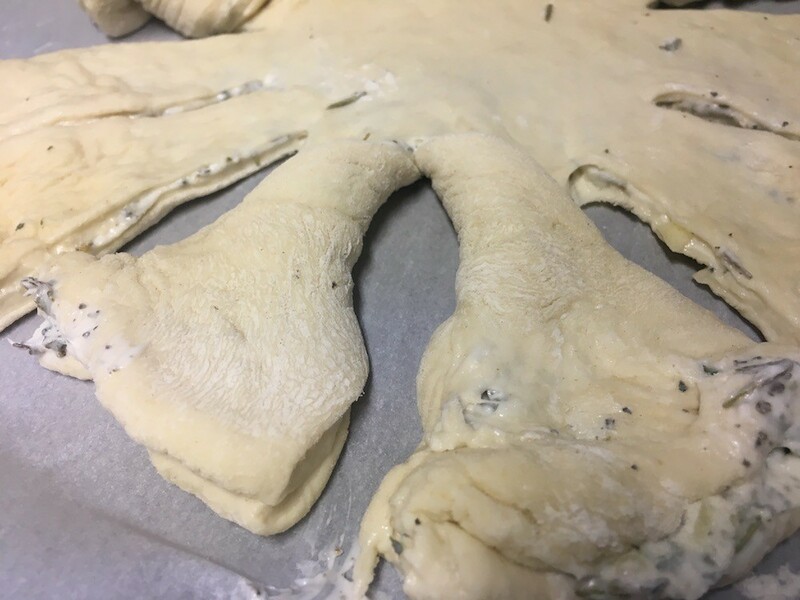 Place the other piece of dough onto the one with the cheese. 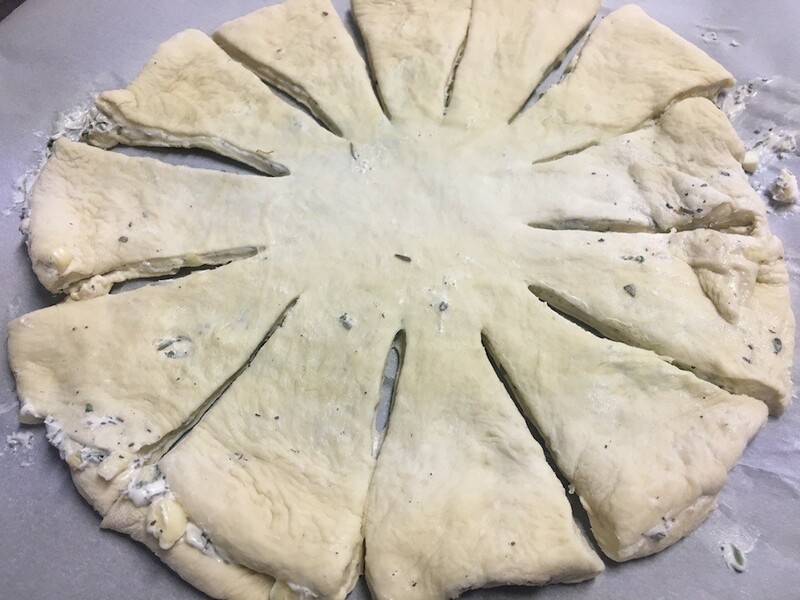 Using a sharp, clean knife, cut four long notches around the dough. Cut two more within each cutting, making 10 tabs of dough all around. Grab two tabs that are next to each other, one tab in each hand, and twist outward away from each other. Twist them outward one more time. Tuck the ends into each other to make an arrowhead shape. Work all the way around to make five arrows total. 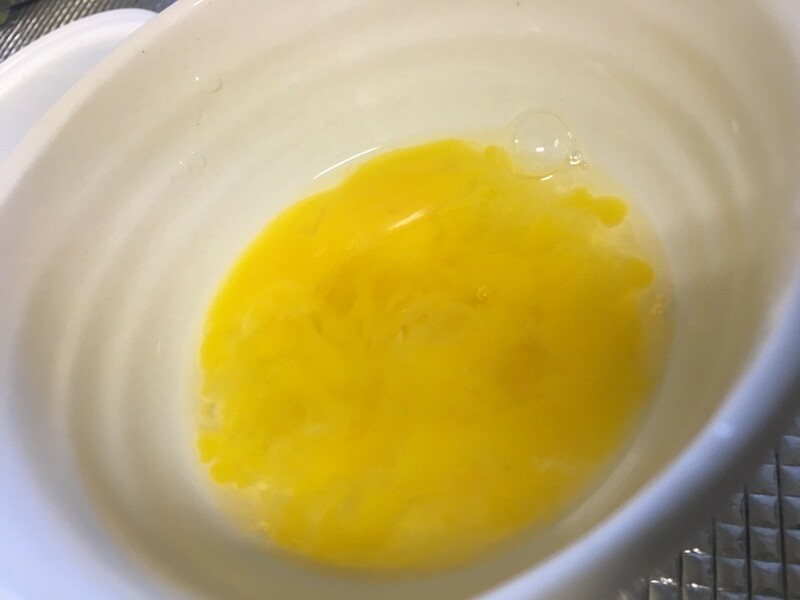 Crack the egg in a small bowl and scramble with a fork. 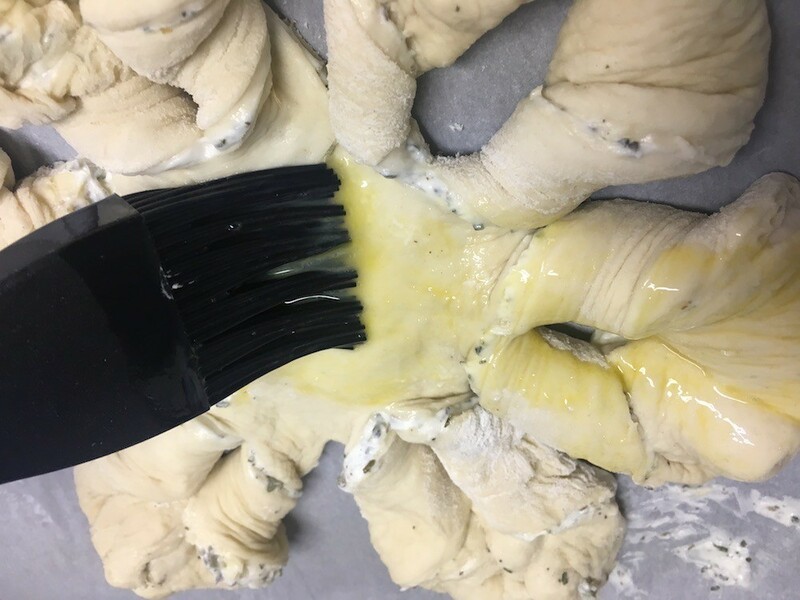 Brush egg all over the dough. Sprinkle with reserved Italian seasoning. Bake in preheated oven for 20 to 30 minutes, until golden. It's really pretty! And, I'd like to pull off a piece of it right now, it looks so yummy. I wish you could! It toasts up great in a toaster oven, too. Yum!